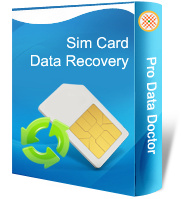 Sim card data recovery software helps you to recover lost or deleted text messages and contact numbers saved in mobile phone sim card. Sim card data recovery program recovers your lost inbox/outbox/drafts messages, phone book numbers, last dialed and fixed dialed numbers from cell phone sim cards. Sim card data restoration program examines sim card with the help of USB sim card reader and provides full details of sim card including service provider name, card identification number, location and IMSI information. ➲ Easily retrieves sim card deleted, erased or lost entries including text messages, phone book saved numbers from Sim card. ➲ Works with PC/SC or phoenix standard sim card reader. 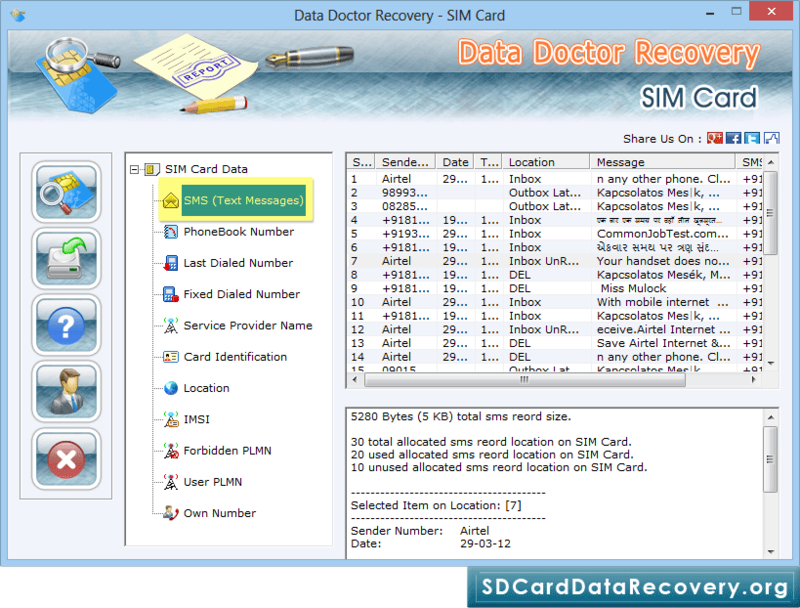 ➲ Sim card recovery software recovers data even if sim card not detected by your mobile phones. ➲ Provides full details of sim card information like service provider name, card identification number and IMSI number. ➲ Recovers inbox SMS, outbox SMS, sent items and draft messages from Sim card storage media. Improper sim card handling etc.